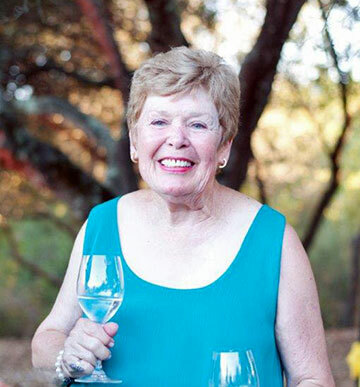 In the early years, Jo Ann pulled a 5-ton gondola of grapes to wineries. 41 years as a grower, 26 years as a winery. My husband grew up on a farm in Texas and loved to grow anything. Francis Mahoney of Carneros Creek Winery. In 1972 he helped us with rootstock, laborers and advice. Seeing the growth of the grapevines year after year. Every day doing my job better than the day before. Our second generation has joined us and we farm sustainably. We emphasize farming as we have done for 41 years. Volunteer at schools or a hospital. One would be Tony’s grandfather, Jean-Marie Truchard from France, who tried to grow grapes in Texas. Another would be Tony’s father in Texas, who died before we had made wine. The third would be Tony, my husband, who had this vision of a vineyard and winery in the Napa Valley. Do it because you love it, not just to make money. In the early years, I would pull a 5-ton gondola full of grapes to wineries.